Course fees include lunch, coffee breaks and local transport. Course fees do not include travel expenses, hotels or meals not specifically mentioned. A field trip to Lawa Lake communities to learn about the Lawa model for the control of Opisthorchiasis. Opisthorchiasis caused by human liver fluke Opisthorchis viverrini infection is a major foodborne parasitic zoonotic disease in Thailand and neighboring Mekong countries with over 10 million people infected. The infection is associated with cholangitis, cholecystitis, gallstones, hepatomegaly, periductal fibrosis and cholangiocarcinoma (CCA), a fatal liver cancer arising from the bile duct epithelium. The rates of CCA in regions where the parasite is endemic are unprecedented. Khon Kaen province in Northeast Thailand where O. viverrini is endemic has reported the highest incidence of CCA in the world. Extensive research on various aspects of opisthorchiasis and its associated diseases including epidemiology, immunology, pathology, carcinogenesis and control has been carried out in Thailand in recent decades. However, the current status of O. viverrini infection in the country is approaching 85% prevalence in certain endemic areas even after over 30 years of control programmes. Its complex life cycle which involves several hosts/environments makes it difficult to control by conventional methods. Therefore, a new control strategy for liver fluke infection using the EcoHealth/One Health approach was introduced into the Lawa Lake area in Khon Kaen province where the liver fluke is highly endemic. This programme has been carried out for over 7 years using chemotherapy, novel intensive health education methods both in the communities and in schools, ecosystem monitoring and active community participation. As a result, the original aveage infection rate of 60% has declined by more than one half in the more than 10 villages surrounding the Lake. People in the area gained more knowledge of the liver fluke. Strikingly, the Cyprinid fish species, which are the intermediate host, now show less than 1% prevalence compared to a maximum of 70% during the baseline survey. This liver fluke control programme, now named the “Lawa model,” has become recognized nationally and internationally, and is being expanded to other parts of Thailand and neighboring Mekong countries. With the emergence of new zoonotic diseases and antimicrobial resistances, the capacities of surveillance systems to accurately characterize animal diseases are of public health importance. There is clearly a rising interest in the use of qualitative approaches to achieve a better involvement of the communities and the stakeholders in the implementation of the surveillance system and in its evaluation. During these 4 days, the workshop will provide a theoretical and practical application of qualitative methods with methods and tools to analysis and report qualitative data. We will introduce available tools for surveillance and qualitative evaluation. Describe the different steps in implementing qualitative research. Know the different qualitative methods available to assess attributes with the pros and the cons related to their field implementation. Special attention will be given to the use of real life case-studies in order to cover a large range of surveillance approaches. For over ten years Brooke has been blending participatory human development approaches with animal health and welfare approaches in programmes across Africa, Asia, Latin America and the Middle East. Participatory methods in human development are used to identify challenges faced by a group of people and facilitate shared solutions to those challenges. The emphasis is on interventions that are for the community and by the community rather than by outsiders for outsiders. 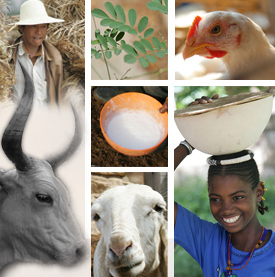 Participatory epidemiology is often designed to address a predefined animal health problem. However, animal-owning communities may identify and articulate different health and welfare challenges. Unless the researcher and the community have the same objectives for a participatory exercise, any solutions developed as a result may have a reduced success rate. The course will introduce a range of tools that have been successfully used to ensure that communities take responsibility for the health and welfare of their animals, resulting in continued and independent monitoring and surveillance of animal populations. It will take participants through some of the challenges of implementing these programmes, including understanding the power dynamics, ensuring that data can be recorded reliably and ensuring sustainability. Additionally, the course will cover how these monitoring data can be used in practice at different levels (community, regional, national, international). Preparing participants for practical application will be a continual focus, with an emphasis on case studies. Brooke has global experience in developing operational plans to strengthen animal healthcare (AHC) systems towards 3 objectives: improving technical capacity, improving demand and ensuring sustainability. This course will take participants through the design of a participatory plan for holistic strengthening of animal healthcare systems at a national level. We will discuss the characteristics of private and public systems, the role of paraprofessionals in veterinary medicine, and the requirements for a functioning and enabling policy environment and tertiary education system. There are distinct information requirements required a priori: these will be discussed. Participants will gain practical experience in using tools that can be used in the strategic development process, including detailed stakeholder analysis and AHC infrastructure maps, assumption testing and feasibility testing. Monitoring the success of interventions that aim to strengthen animal healthcare systems has a range of specific challenges. As well as monitoring clinical competence at an individual AHC worker level, specific indicators for demand creation and business sustainability must be developed and measured without bias. A sustainable approach to strengthening animal healthcare systems requires complex interventions with multiple stakeholders at different levels. Case studies will be used throughout the course along with practical exercises and discussion of the challenges encountered at each stage of the process. Understand the theory underpinning surveillance and syndromic surveillance. The course is designed to teach the basic concepts of syndromic surveillance using the R Language and Environment for Statistical Computing. Participants will be given an overview of the basic principles of surveillance in order to better understand how syndromic surveillance can complement traditional forms of surveillance. Through a series of hands on exercises, participants will learn the theory underlying syndromic surveillance as well as how to create, describe and visualize syndromic time series and how to fit temporal and spatial-temporal event detection algorithms to syndromic time series. The goal of the course is to provide participants with the methods needed to design and implement a functioning syndromic surveillance system. We are using the R Language because it is a powerful and well accepted statistical software application. It is also freely available, making it possible for people with limited resources to use the software for all the analyses needed to run a fully operational syndromic surveillance system. Number of Participants: 15 minimum to 25 maximum. Cost to be paid by each participant: Estimated between 250.00 $US and 350 $US. This short course will provide participants with an introduction to qualitative methods, focussing on their application to animal and one health research. In contrast to quantitative approaches, which use numerical data, qualitative methods can utilise a wide range of data types including text, spoken word, and images. The course will begin by discussing the philosophical basis of qualitative methods and contrasting this with quantitative methods. We then move on to examine some key methods for collection of qualitative data, including interviews and focus group discussions. We will illustrate ways in which these methods can elicit important qualitative data, providing insights and explanations that go beyond the quantitative data that are often collected in participatory research settings. We will also discuss other methods such as observation in natural settings and photovoice. Exercises will enable participants to practice key aspects of data collection. We will also discuss how to design a qualitative project, from writing a research question, deciding what method (s) to use, through recruitment, to data recording and management, either as a standalone project or as part of a larger project. We will also discuss methods of analysing qualitative data, focussing on the Framework method. We will describe the process of coding and development of key themes. Again, exercises will enable participants to gain first-hand experience of the application of these approaches. Throughout the short course, we will also discuss important issues that may arise during qualitative research, including ethics and the limits of confidentiality, privacy, research relationships, group conflicts, non-participation and gender.